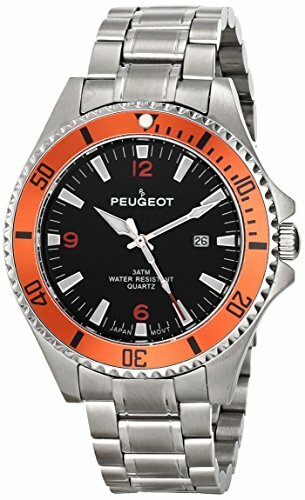 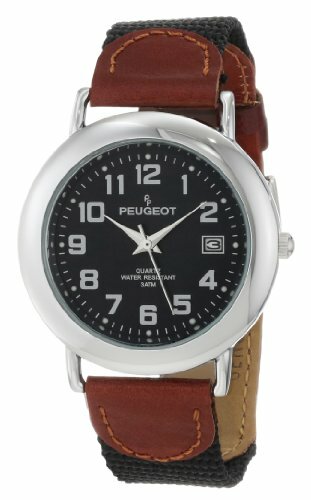 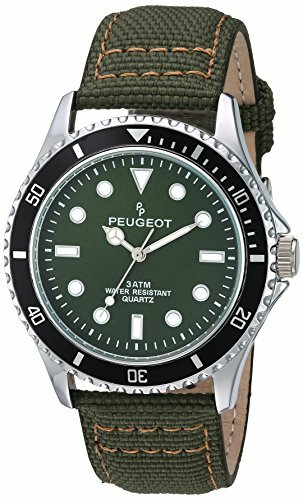 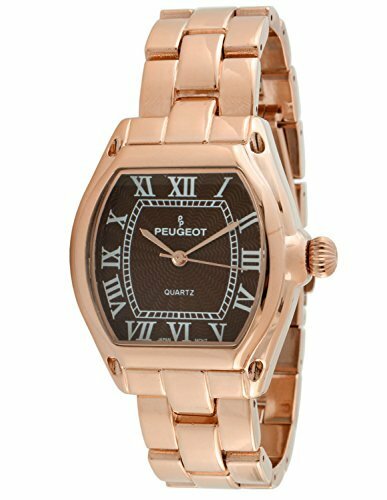 This is a beautiful watch from Peugeot. 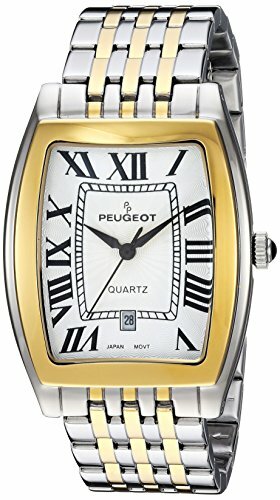 This features a gold-tone case with a single row of crystal bezel. 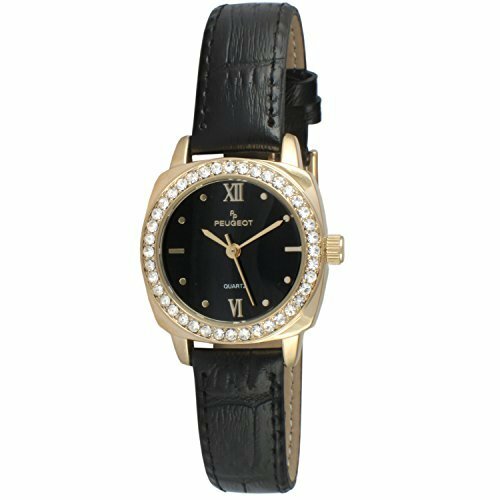 The black dial paired with gold hands make this watch truly unique.